When the investors first meet Brian Lim in the latest episode of “Shark Tank,” he’s wearing a giant cartoon headpiece and looks like a DJ ready to play to a bunch of ravers. But once the mask comes off, the investors see that Lim has built two electronic music lifestyle companies with more than $7 million in annual revenue from the ground up. The Sharks get into a feeding frenzy, and every investor makes an offer. 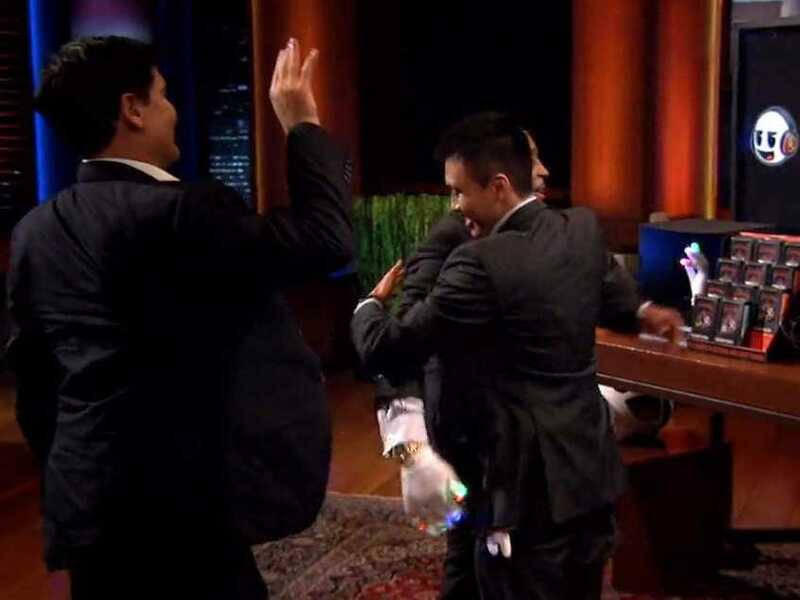 Lim ends up making a $650,000 deal with Mark Cuban and Daymond John. Here’s a breakdown of the pitch, including Lim’s insights into the deal. Lim, a native of Anaheim, California, enters the Tank seeking a $650,000 investment in exchange for a 5% equity stake in his businesses, “gloving” company EmazingLights and rave apparel maker iHeartRaves. The former is his flagship company, which he started in 2010 with just $100, and produces gloves with programmable LED lights built into the fingertips. He built iHeartRaves in 2013 to further tap the dance culture industry. His girlfriend introduced him to the practice, which is essentially creating a light show with your hands, in 2010 at an electronic dance music (EDM) show and he was hooked. Lim says he had always wanted to be an entrepreneur but didn’t know what kind of company he wanted to create until he fell in love with gloving. He saw an opportunity to take charge of this niche industry and filed for patents on premium-grade glove lighting. He left his job as an analyst at Deloitte the next year. Some EDM concert promoters have banned gloving in the past, but Lim takes the practice very seriously and even considers it a sport. Lim’s companies have grossed over $13 million and together made $7.4 million in revenue in 2014. 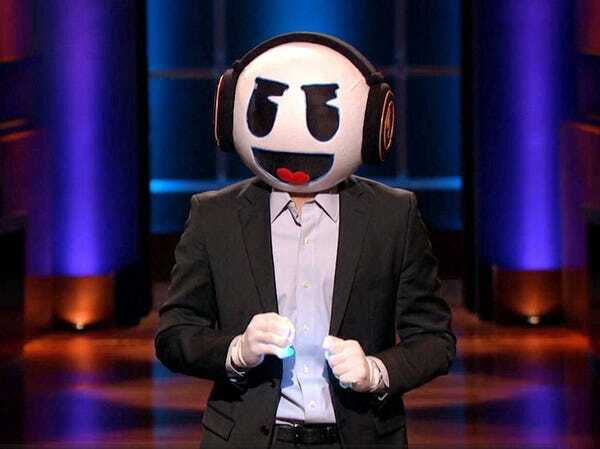 He tells the investors that he wants to make EmazingLights a billion-dollar company. Kevin O’Leary: Worried about the possibility of gloving being a fad, but very impressed with Lim’s work ethic. Will loan $650,000 in exchange for 3% equity. Lim respectfully declines because he’s looking for a hands-on partner. Daymond John: Will get high-level licensing deals, and can get into stores like Spencer’s and Party City, if desired. Will give $650,000 for 20% of money made from licensing deals. Robert Herjavec and Lori Greiner: Are hugely impressed by his performance and drive, and want to be important members of his team. Will invest $1 million for 8% equity. Mark Cuban and John: Cuban joins John’s deal. Cuban will give $650,000 for 5% equity and will handle strategy and get EmazingLights performances into the Dallas Mavericks’ halftime shows. John will take licensing duties and take 20% commission. “So you have the sports guy and the kinda music/fashion guy who’s going to work with you, or you have the Queen of QVC and the security guy,” John says, taunting Greiner and Herjavec. Herjavec and Greiner: Together have an international retail network and can also get EmazingLights into arenas. Offering $1 million for 5% equity. Ultimately, Lim makes a deal with Cuban and John. “Although I respect and admire all of the Sharks for what they have accomplished in business, I just felt that Daymond’s brand-building experience and Mark’s familiarity with technology and e-commerce were a such great fit for EmazingLights that the difference on the valuation for a 5% stake was irrelevant in the long term,” Lim tells Business Insider. “I gotta tell ya,” Herjavec says in the Tank, “I hate losing that one.” He tosses a glove onto the table in front of him. Lim and his team are now looking to acquire regional, national, and international business partners to make the International Gloving Competition more popular. “Holding over 80% of the worldwide gloving market means the burden of growing the competitive gloving market is on our shoulders, but we are excited to face the challenges ahead with two new Sharks on our team,” Lim says.